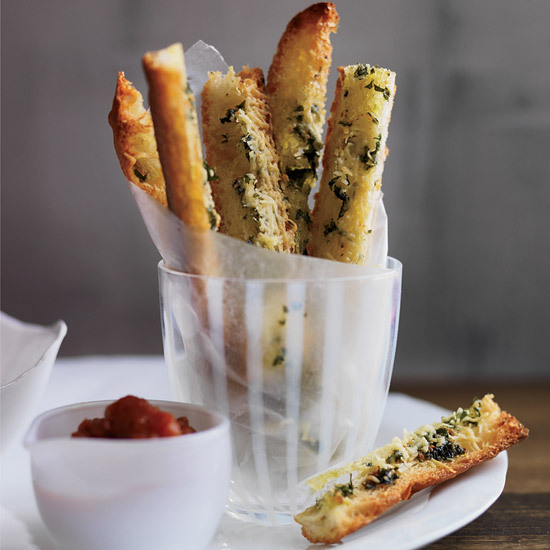 While there’s nothing wrong with classic garlic bread, try throwing it on the grill for a wood-fired flavor, slicing the loaf into fries and serving them with marinara dip, or simply adding fresh herbs. 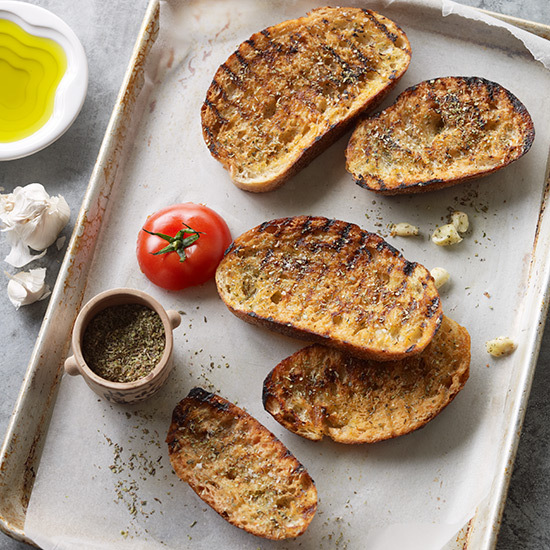 Whether you’re looking for a savory side dish or an inspired main course, these are our best garlic bread recipes. 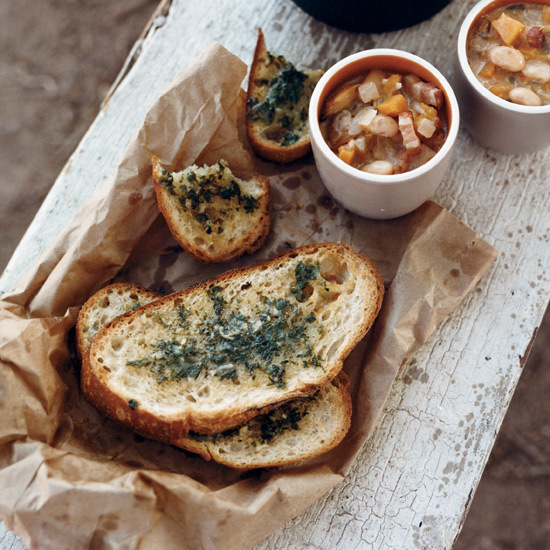 This garlicky bread is perfect for dipping, or on its own. 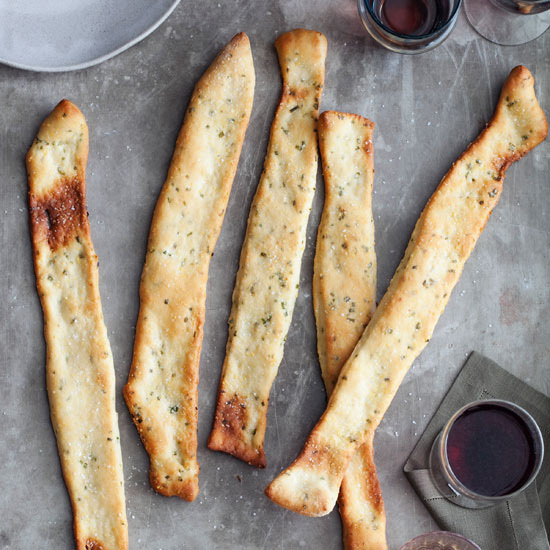 Garlic chives add an oniony taste to these crisp flat breads, but you can certainly use sweet chives instead. 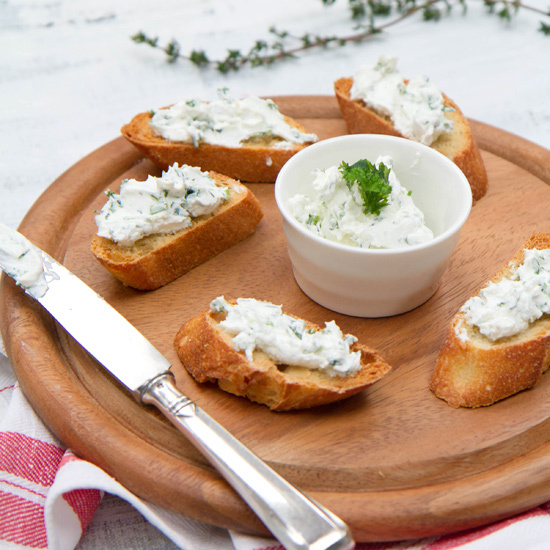 Dip the breads in salsa or spread them with fish salad or goat cheese. Although garlic is available year-round, fresh summer garlic has large cloves that are especially sweet and juicy. To preserve it, Grace Parisi simmers the cloves with dried red chiles and fresh thyme in olive oil under tender, then packs them in the oil. 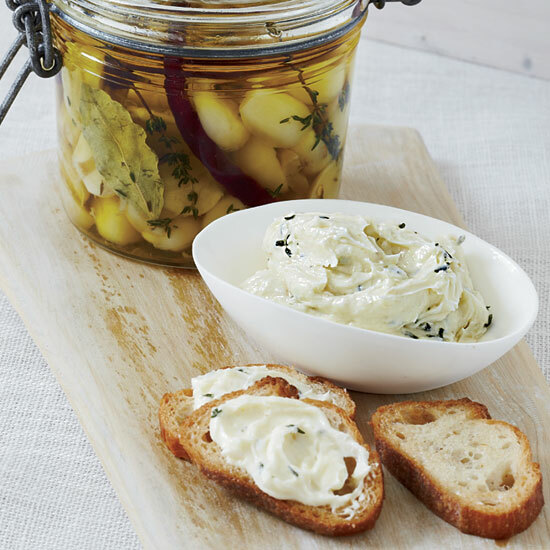 Mash the garlic confit in butter and spread it on bread or slip it under chicken skin before roasting. For a mellower version of this Italian-American classic, Grace Parisi quickly confits thick slices of garlic by poaching them in butter. 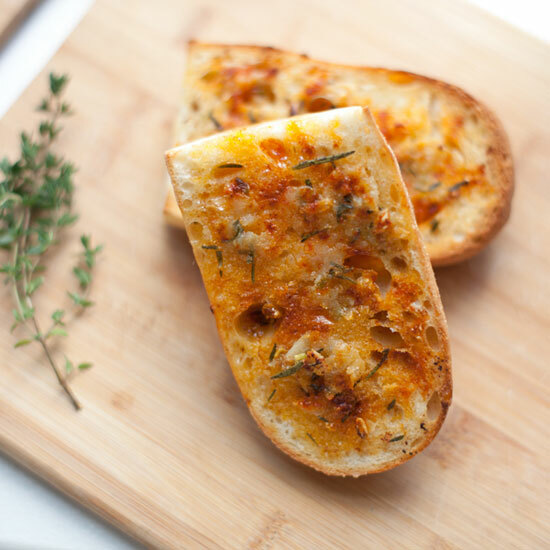 Tangy, creamy fresh goat cheese is delicious on buttery garlic bread. 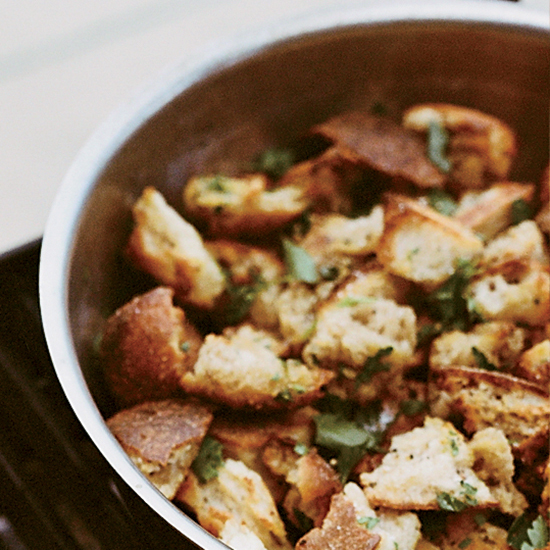 Tearing the bread into large chunks ensures plenty of crispy, buttery edges. It's a terrific accompaniment to bratwursts or grilled or roasted chicken, and an excellent garnish for hearty salads.